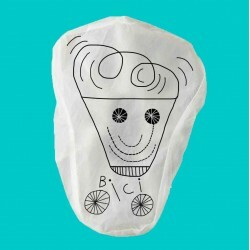 > FANTASTIC BIOPLASTIC>SPUD RAINCOAT>CAPES>BIKE CAPE "NEUTRAL"
Nuclear white, pure and effective! Watch out this is not a detergent! 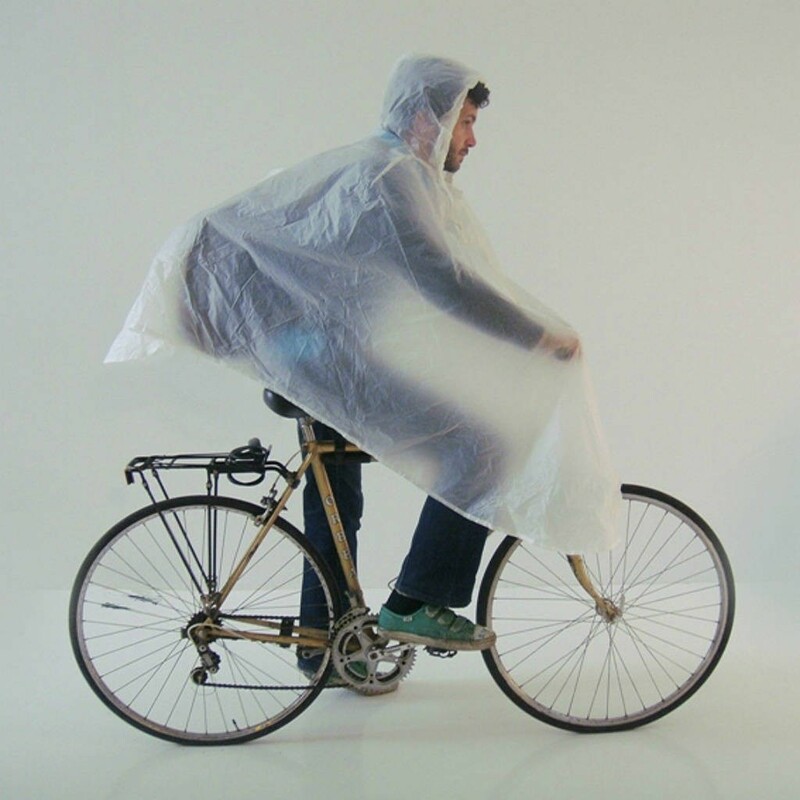 This is the NEUTRAL SPUD RAINCOAT for climate emergencies on two-wheeled vehicles. 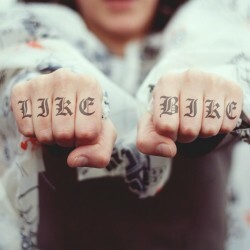 For urban bikers and cycle-tourists. No patterns to distract drivers. This white cape will help you to be more visible in the traffic and keep you dry. Use it over your work clothes. THE ANTI WIND SYSTEM STRAPS! Simple straps hidden in the front of the raincoat act as a prevention system against the wind. Slip your thumbs into the straps and you will stop your raincoat flying in the middle of your journey or race!